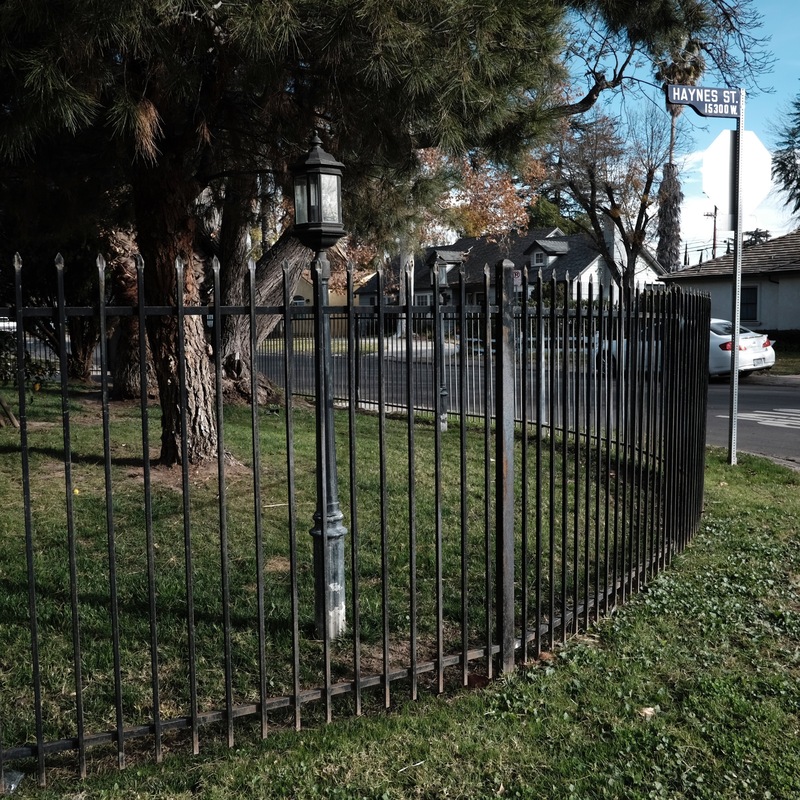 On these winter days, when the streets are emptied of cars, and the skies are filling with rain clouds, our neighborhood of Van Nuys cools down and empties out, revealing a strange amalgam of enormous parking lots; as well as businesses and homes surrounded by iron gates and fences. In its entirety, these fortifications evoke prison: a high security, patrolled, guarded, and fearsome place where criminals and children are kept back by a fortress of steel and iron. 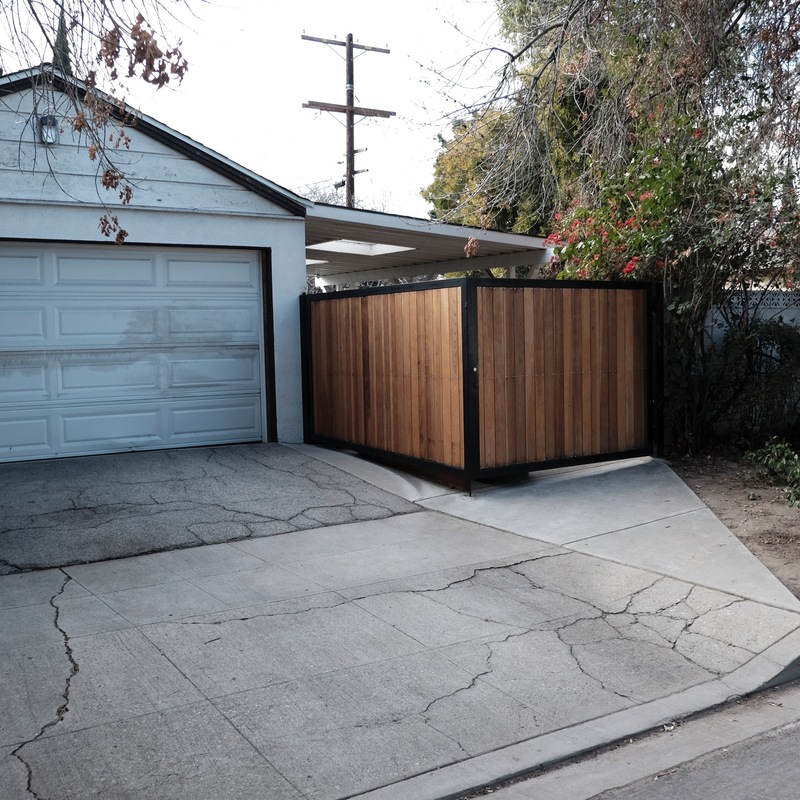 For sixteen years I’ve lived here, always imagining that every New Year will bring an imaginative, humane and socially comprehensive new architecture into Van Nuys. 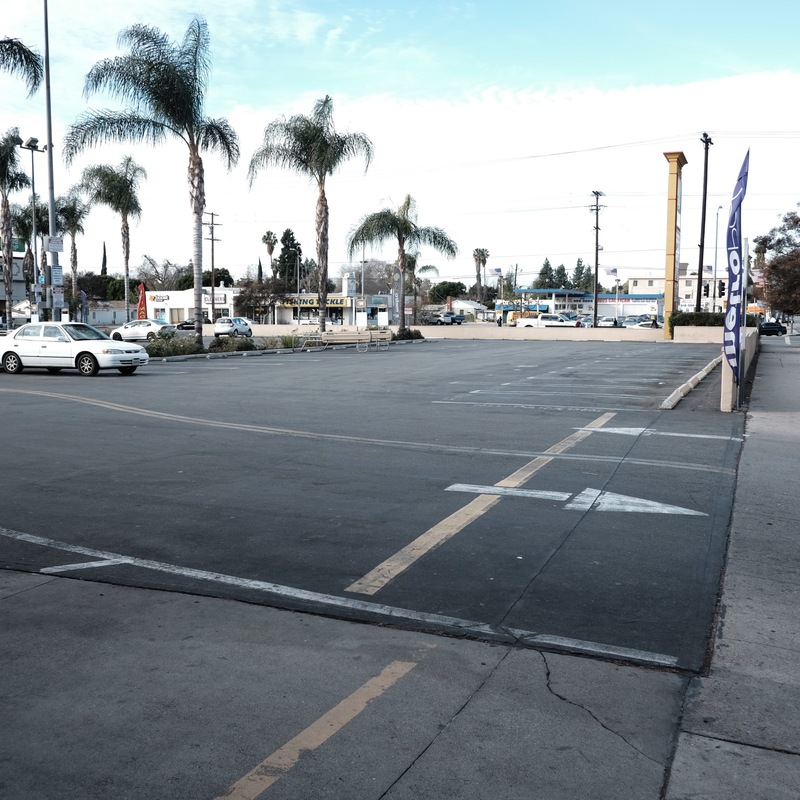 I fantasize that the parking lots will be torn up and rows of orange trees replanted in the soil. 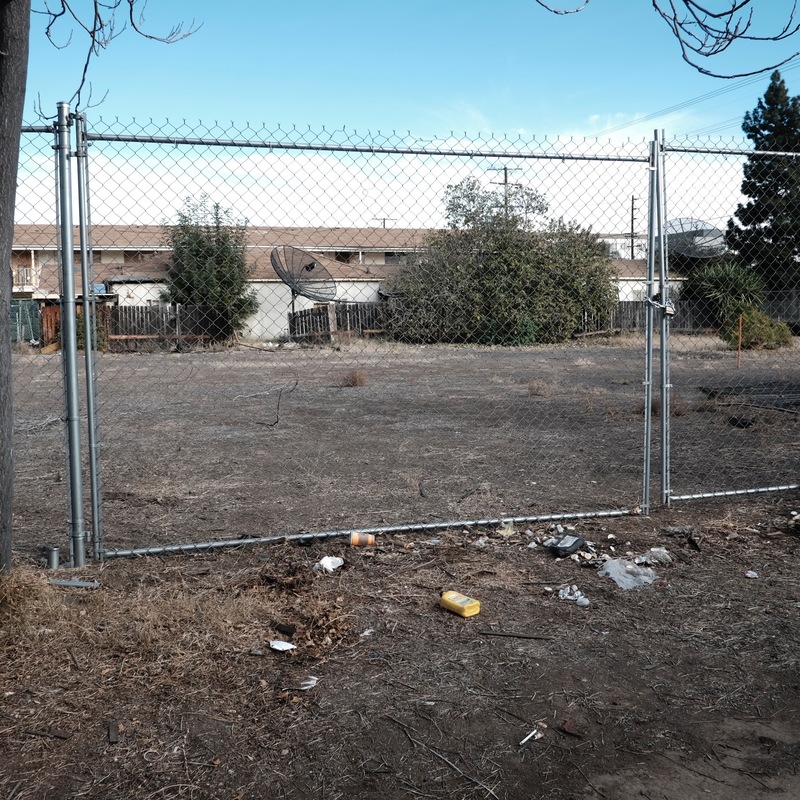 I think someone will see the enormous plots of land, now taken up with blight and decay, and see this as the new place to construct walkable communities with native plants and organic gardens surrounding little residential communes. That is the dream, shared by some of my neighbors. 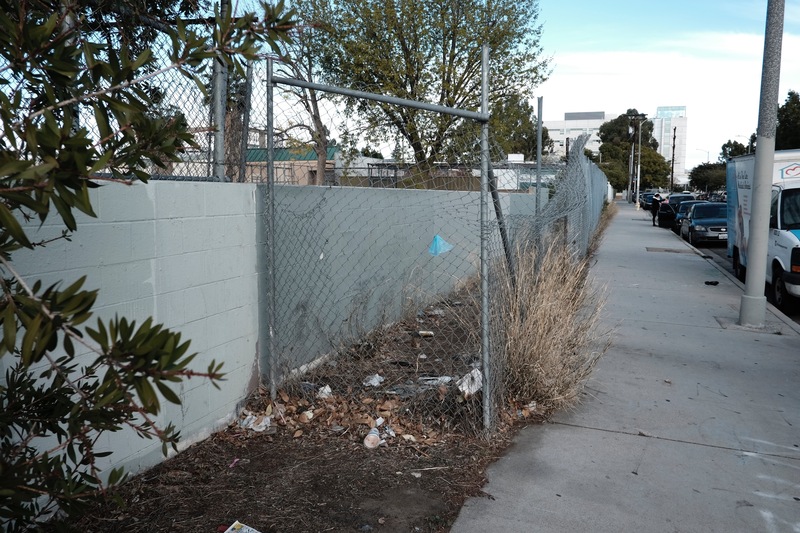 On Sepulveda, between Archwood and Lemay, the hellish Ridge Motel is on Death Row, surrounded by fencing and covered with graffiti and garbage. It had long outlived its usefulness and functioned only as a prostitution and drug outlet, blighting its surroundings and neighbors. 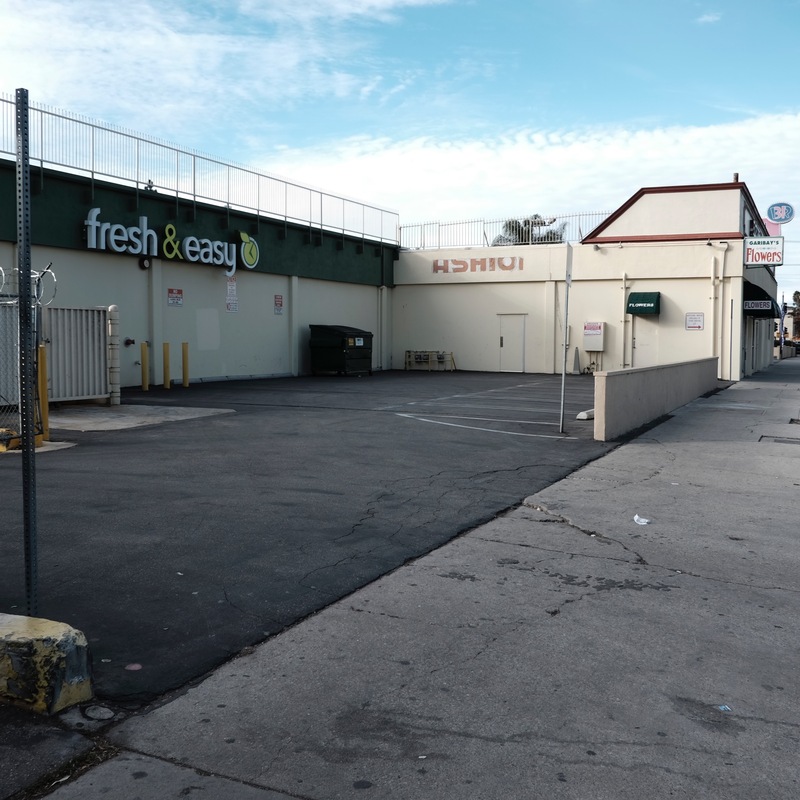 Across Sepulveda, Fresh and Easy has closed, taking with it moldy produce and difficult checkouts. But sometimes I’d come here, and liked its convenience, its weird combination of English, Indian, Spanish and Asian foods, its overpriced milk, eggs and breads. And I miss that friendly manager who always smiled and helped me. One Thanksgiving, about 2012, we bought our entire meal here and ate it back home with my mother, a pre-made, plastic topped collection of containers with sweet potatoes, mashed potatoes, stuffing, cranberries and turkey. My father had recently died, and my mother was to die two years later, and the holiday meal had a morose sadness intensified by the microwaved artificiality of our victuals. 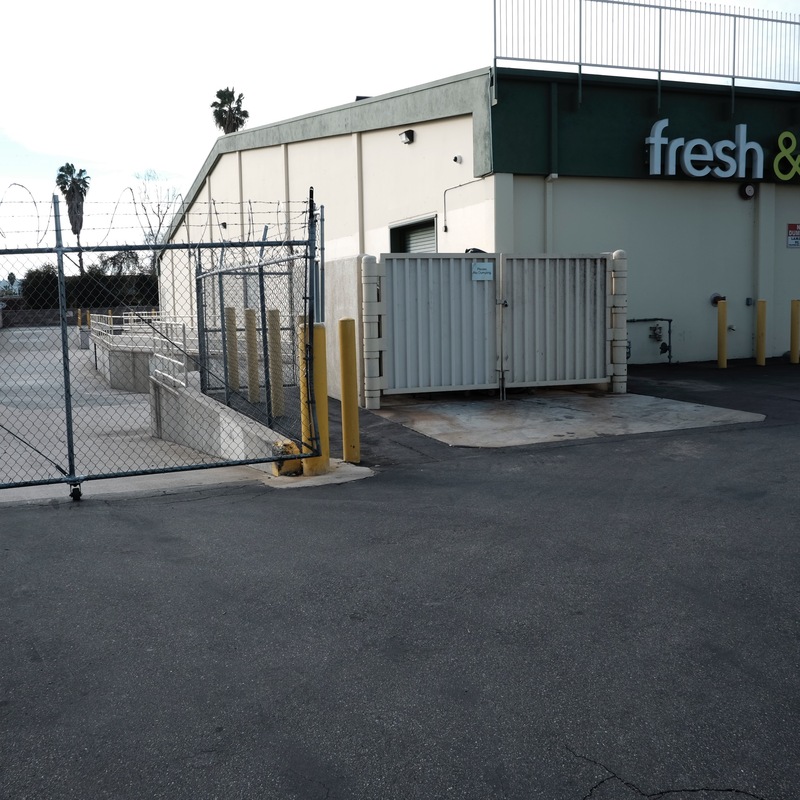 Fresh and Easy is gone, but what remains are those walls and gates around it, and that big parking lot in front, and a reminder that even when there is no business, or no people, we will still live in an incarcerated city, a place where entrances and exits are controlled, and guarded from either imagined or real, chaos and crime. And those vast spaces of nothingness that are spread all over, those too are outdoor jail yards of lifelessness, neither urban or rural, human or natural. These are the prisons that keep us captive and hold our imaginations and our existence hostage. Kind sir your tag words speak VOLUMES. 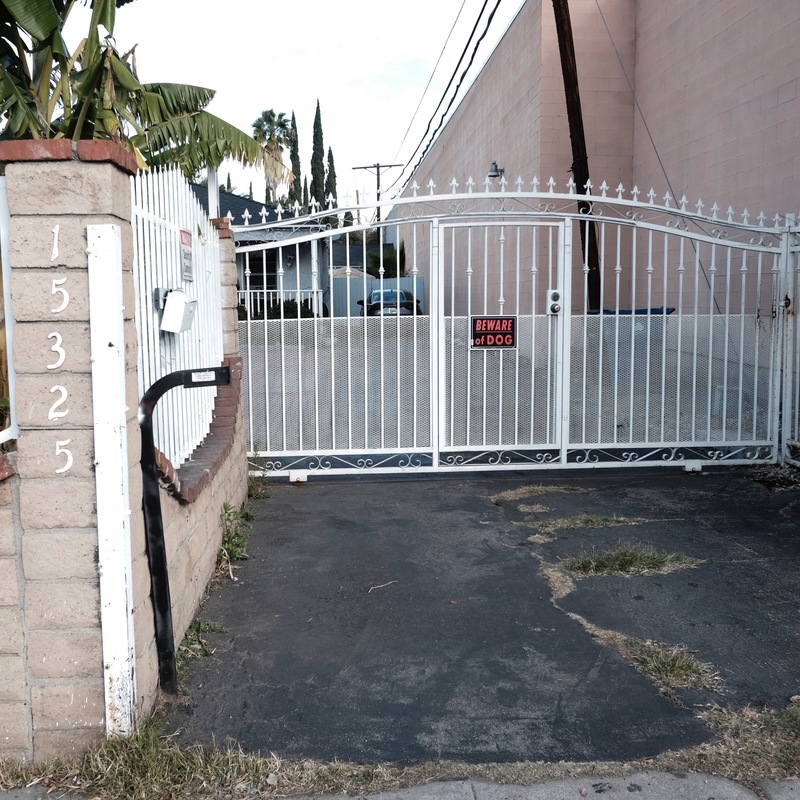 Thanks for your commitment to this awkward place; Van Nuys. 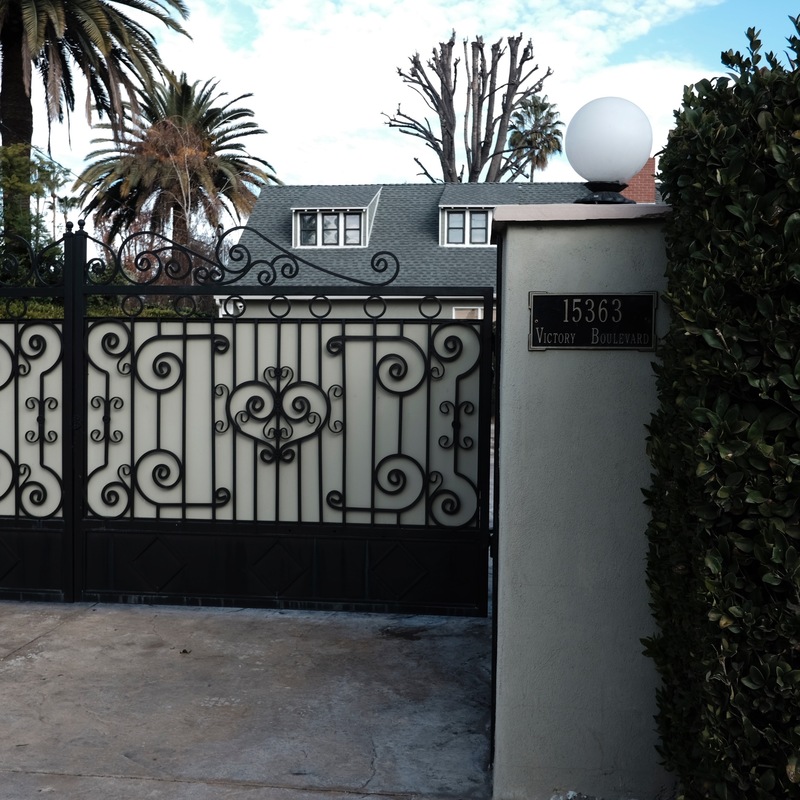 I bought a home (that I love) in Van Nuys in 2008 (I know, spare me the scolding). Of course I wait with anticipation to see what will become of the “incarcerated city” but as I drive through and witness this transition I can’t help but feel worried of it’s future. 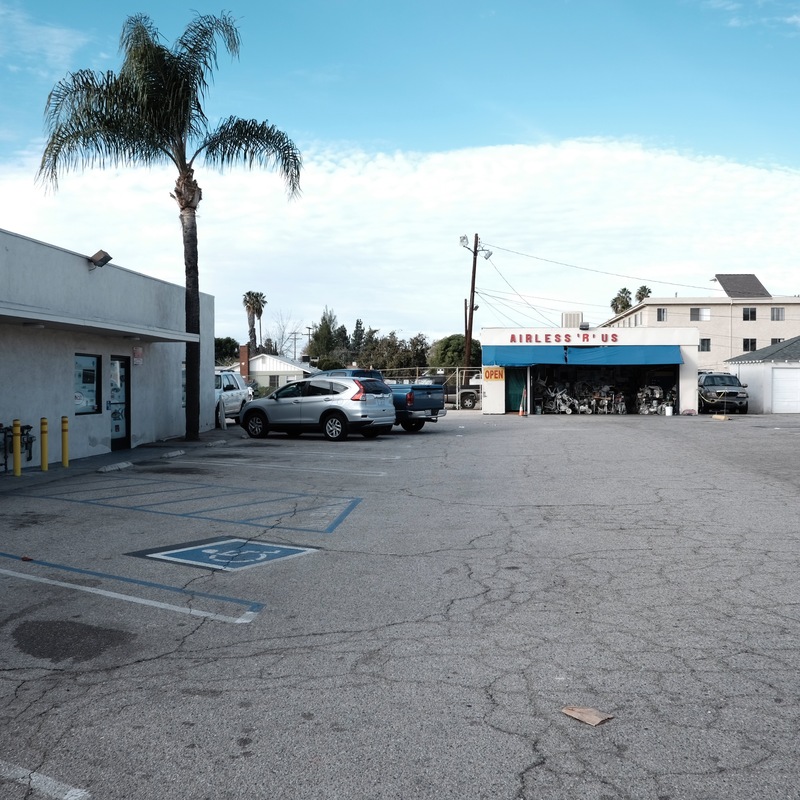 It’s like the potential for a great place just doesn’t exist here yet travel 3 miles in either direction and one can sense an upwardly urban pulse, but not so here in Van Nuys. 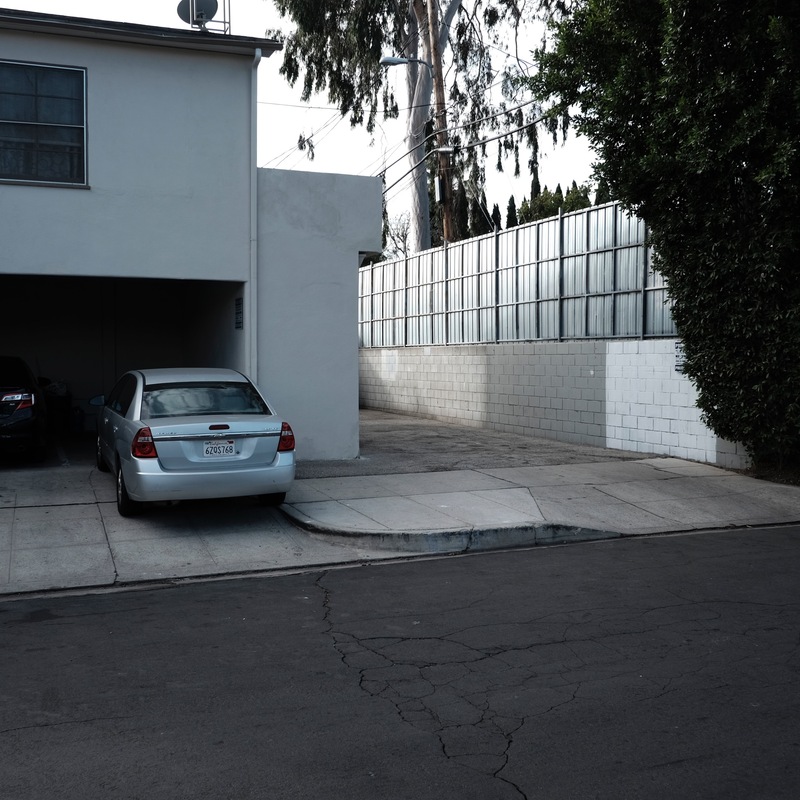 I once asked the Senior VP of Marketing for Trader Joe’s if they might consider Van Nuys for a location, and he laughed at me citing “it would be too difficult to stop loss due to theft”. None the less I for one am grateful for your commentaries as abysmal they may be. Maybe with some of the hookers and johns displaced we might have a slim chance of recovery. I think Trader Joes is naive if they imagine that theft would be worse in Van Nuys. stealing, from both customers and employees, who help themselves to $40 bottles of wine, $30 cheeses, and $20 shampoos. 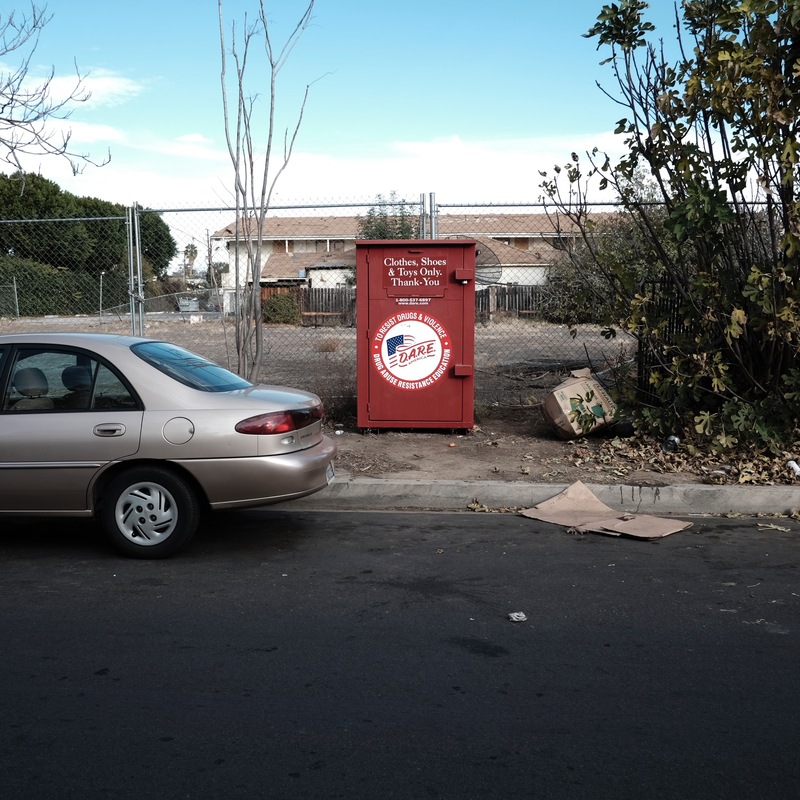 norms leads to panhandling, homelessness and the use of parks as Sunday afternoon garage sales (Echo Park). Between liberalism and conservatism there must be a happy medium, but I’m not sure we have found it. 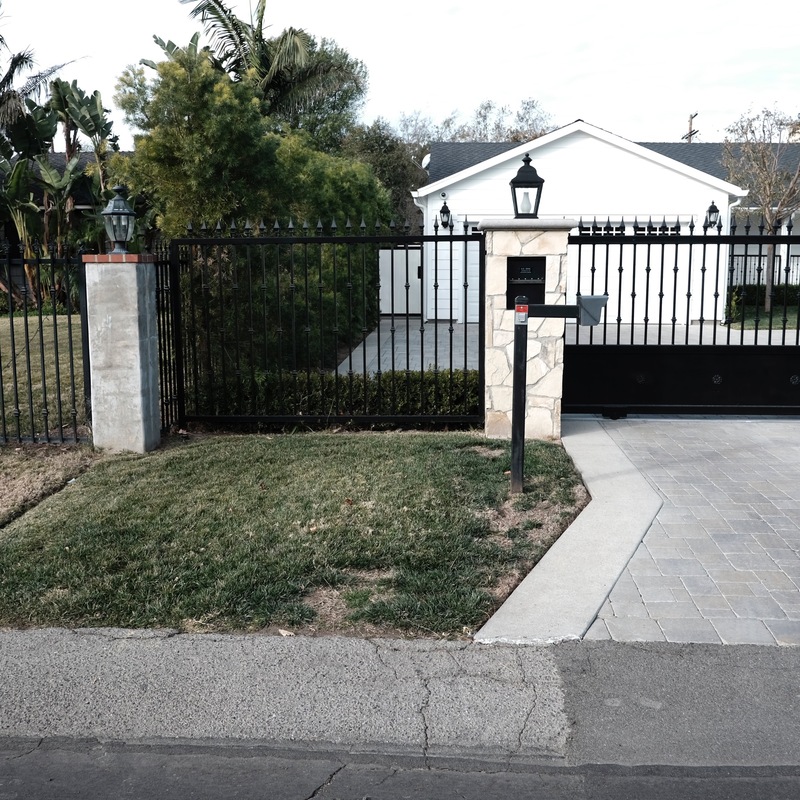 I see where you’re coming from, but this is really nothing compared to L.A. and West L.A. You wanna see gated, fenced- in, cold concrete, go there! I lived in Van Nuys for over 35 years–went to Van Nuys Elementary, Junior High, High School, and Valley College for 2 years. My mother went to V.N. Elementary, Junior High, and High School in the 50’s with Jane Russell, Don Drysdale and Robert Redford, among others! Marilyn Monroe went to VNHS for one semester. Big-name stars grew up here, and it’s home to lots of other stars today, and I know where some live/lived. Actually, my grandmother went to those 3 schools, too! In the late 60’s, they put us three in the Valley News paper about us 3 generations doing that, so I figure I’m sort of an expert on Van Nuys! If you send me an email, I can send you some pictures of the valley going WAY back! What a trip! It sure has changed! You see the changes after a short 15 or 16 years, wait til you see how it looked a long time ago! Strangely, though most things seem to change, lots of places haven’t changed much at all! You’d be surprised. I have a soft spot for the valley in my heart, though I don’t live there anymore, but still go there for various reasons to this day!